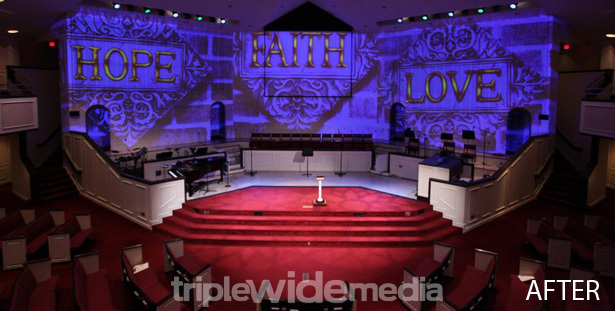 TripleWide Media has been the leading source for content and media specifically designed for Environmental Projection ever since day one. 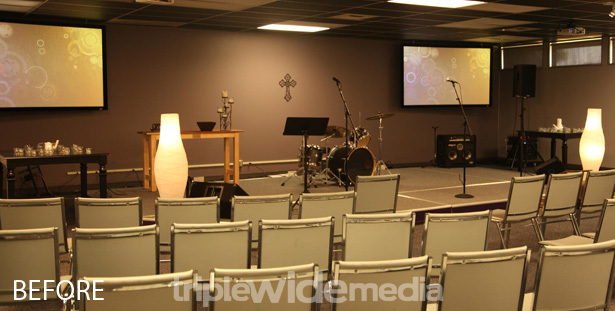 We have often shown environmental projection pictures with a “before” (before installation) and an “after” (after installation) view and allowed you to move the slider so you can see the impact it made to the room. 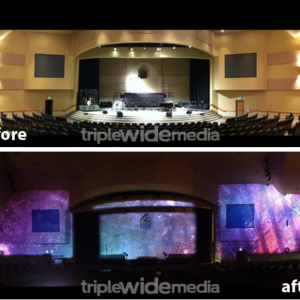 So today, here are some more of our favorite Environmental Projection Before & After Pictures. 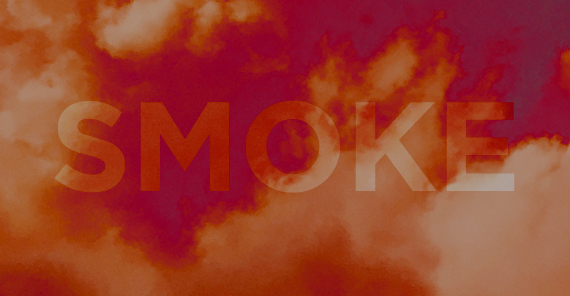 We thought it would be fun to showcase one of our very own producer’s work, Visual Worshiper. 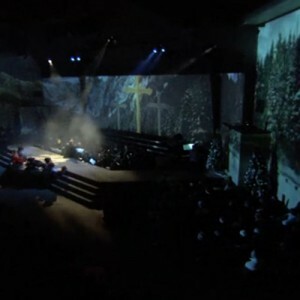 Camron, the founder of Visual Worshiper is not only the leading source on integration for environmental projection, he is also the first to really bring it into the church. 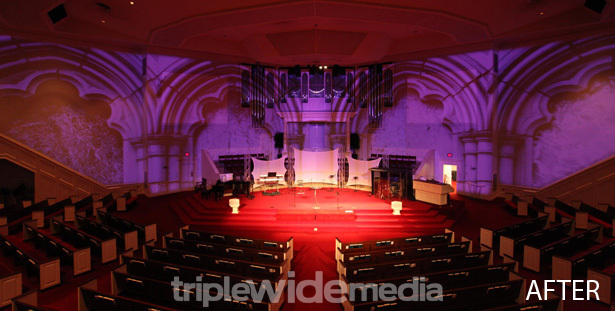 He has a huge desire to help churches find the right equipment for their needs. As we have mentioned before, environmental projection is a really difficult thing to pull off because of how unique it is to each space. The following Before and After pictures could be a great thing to show to someone who doesn’t know what environmental projection is? 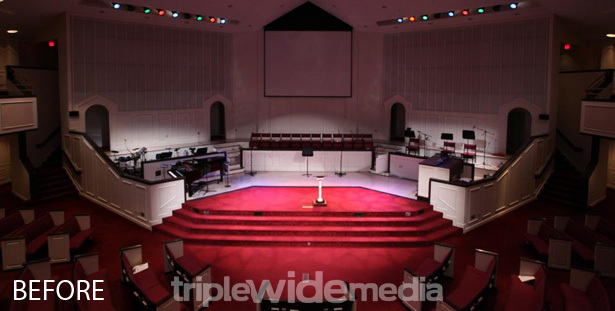 Each of these setups below show a wide variety of places that this visual application can be used, showcasing a large church venue, small settings with a really low ceiling and everything else in between. 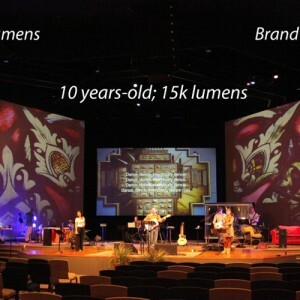 All of the following Environmental Projection Before & After Pictures are by Visual Worshiper. 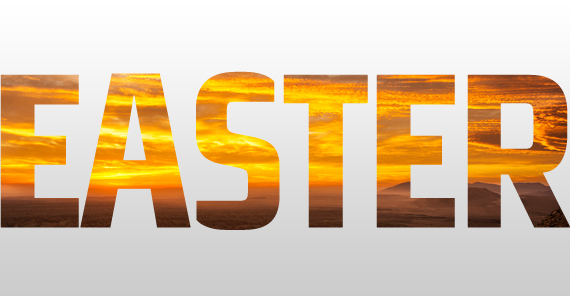 Slide the center box to the left and right to see the full before or full after! 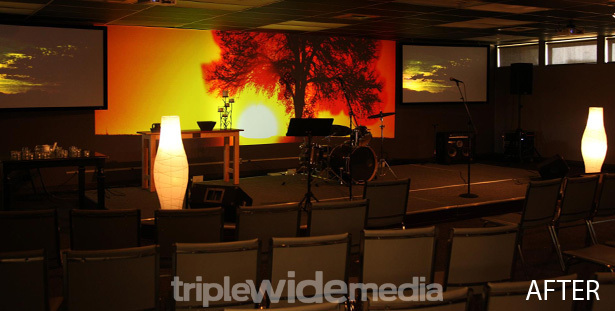 Environmental Projection can be a transform your room and/or space. For more Before and After pictures, make sure to check out Camron’s website: VisualWorshiper.com. 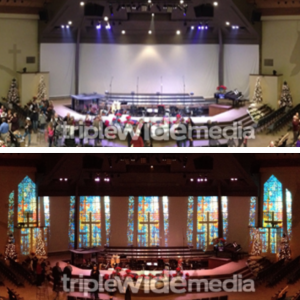 If you want to see moreEnvironmental Projection Before & After Pictures, view some of our other posts or the transforming christmas post from last year. Both have some great pictures in them. 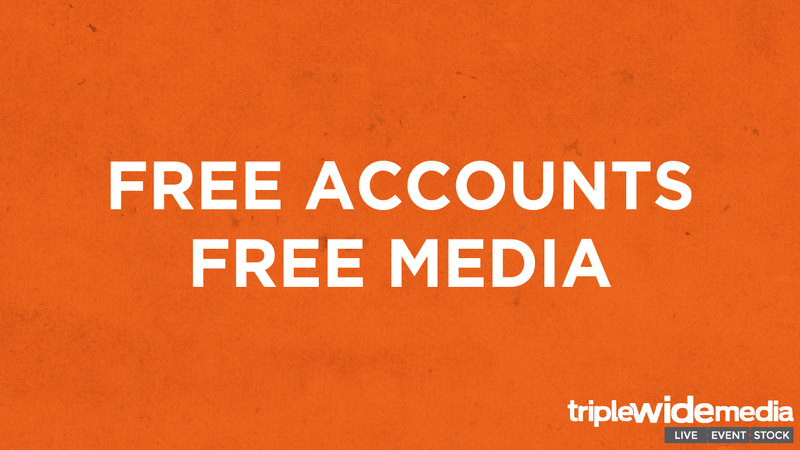 TripleWide Media the leading provider of multiscreen information, inspiration and content, all in one place. 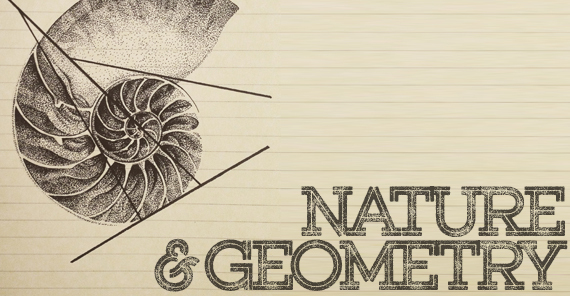 Make sure to follow us on twitter and like us on facebook. 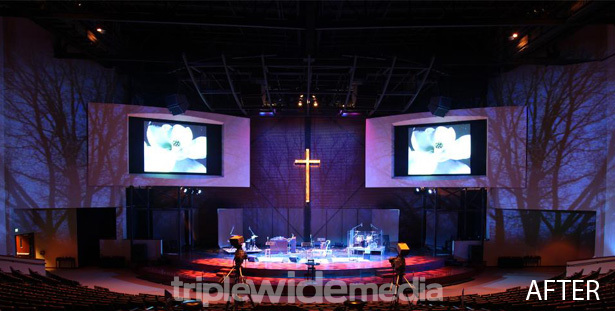 Every piece of media at TripleWide Media includes 3 sizes: single wide, double wide and triple wide. For more information on 1 Purchase 3 Sizes, click here. 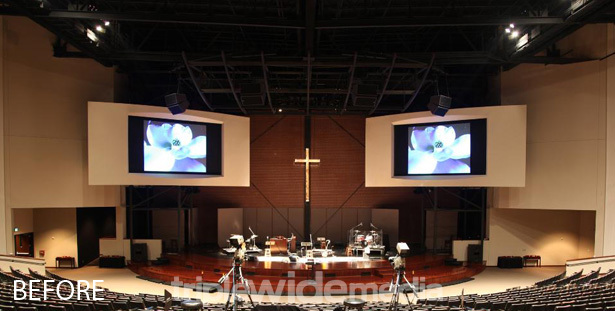 The First Picture Box in this Thread – Low Ceiling, one projector, 2 right and left LCD screens … who is the designer? 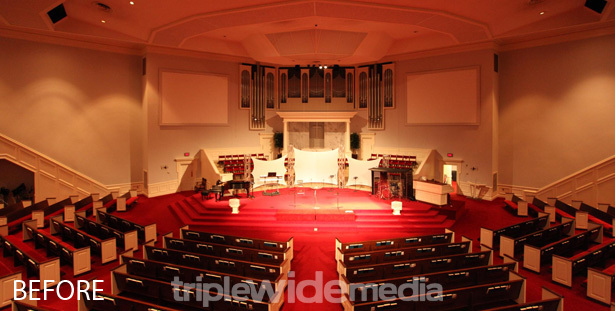 What church is this and is there a contact person? This is very close to the limitations of what we have to work with. 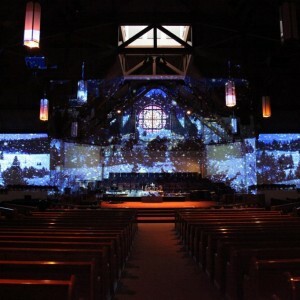 Would like to talk to the designers and / or church projection people of that set .